Are you looking to head off somewhere that is a little different for your next trip? Do you fancy breaking the monotony of traveling to the same places as everyone else? If so then we have some great suggestions for you to consider. The places on this list are not in the back of beyond, nor are they hidden away islands in the middle of nowhere, rather exciting locations which you perhaps would not have considered for a break, take a look and see what tickles your fancy. The likes of Kenya and South Africa generally grab the headlines in Africa when it comes to tourists, but Uganda is somewhere that you should absolutely be considering. Uganda offers great safari options where you will get the chance to see some of the big 5 game animals, as well as its most iconic animal, the mountain gorilla. Almost half of the world’s population of gorillas resides in the Bwindi Impenetrable Forest in Uganda, and they are a true spectacle of nature. For scenery, friendly locals and a wide variety of animals, Uganda makes for a great choice. Mexico sees a great amount of tourism each year but the majority of that is in the coastal regions such as Cancun and Baja California. Mexico City however offers something truly unique and it should certainly be on your list of places to consider. The capital perfectly combines the old and the new, with traction perfectly weaved in between some very modern installations. The city has over 150 museums to explore and in the surrounding areas you will find some ancient Mayan ruins such as in the old city of Teotihuacan. The food in the city is beautiful and you can feast on a wide number of fresh Mexican dishes which are sold by vendors on the street. For a vibrant and fascinating city, Mexico City is the place to go. 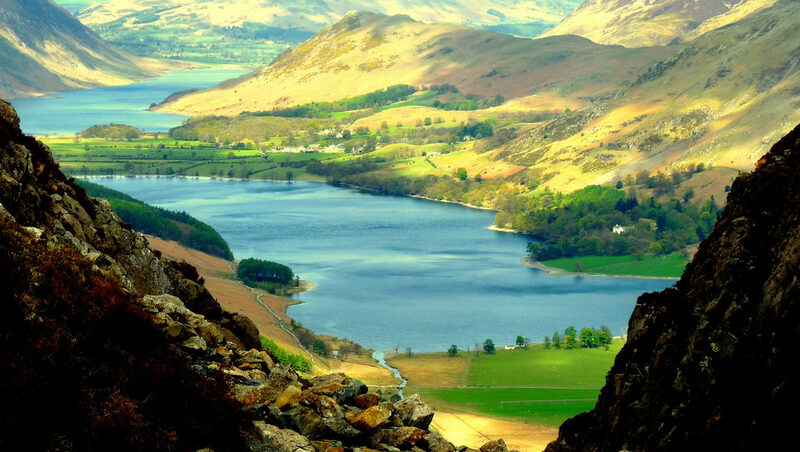 Whilst most people who go to the UK will head towards the likes of London, Edinburgh or Liverpool, an area which you should really be considering is the Lake District in northern England. The Lake District, or Lakes for short, is a huge national park which features the most breathtaking scenery that you are likely to find. This region has for many years inspired travelers, adventurers, poets and playwrights, and it continues to do just that. There are of course several lakes dotted in between this mountainous region, with plenty of rolling valleys, rugged terrain and quaint towns woven through the region. Here you can stay in a cottage, a quiet hotel, a tent or even a yurt, and you can enjoy activities such as hiking, cycling, kayaking and sailing to name just a few. If you want to get away from it all for a while, there is no place better than the Lake District in England. Which one of these sounds most like your cup of tea? Let us know what you think in the comments section below this post, we’d love to hear your thoughts.